Another visual change has been implemented in this version as well. Previously, when you had your Chrome tabs merged with Recents, the status bar would take the header color specified by the site (for example, it's blue on Android Police, orange on APK Mirror), but other sites would keep a black bar. 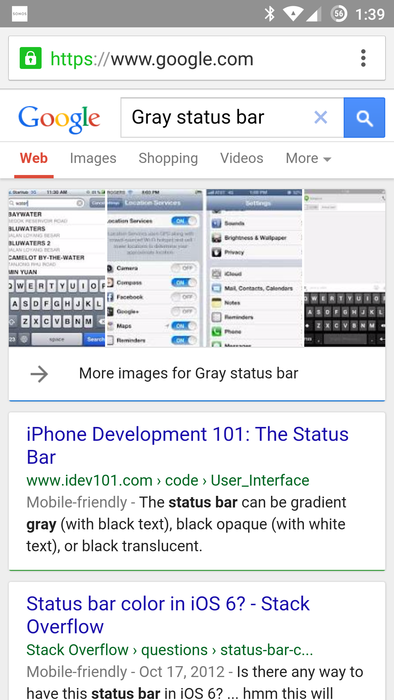 Now these will show a grey status bar, a sign of transparency being implemented equally for all websites. (Edit: this article previously referenced transparency, but as pointed out by readers, the bar isn't transparent. It's a solid and opaque grey color that completely overlays the top of the screen.) But keep in mind that this will only be visible if you have Recents and Chrome tabs merged. Some readers have also mentioned seeing more Material animation goodies sprinkled inside, like when switching to the Reader mode or when the keyboard fades. The update should be live in the Play Store already, but we all know Google likes to release these in batches so we've got you covered on APK Mirror. 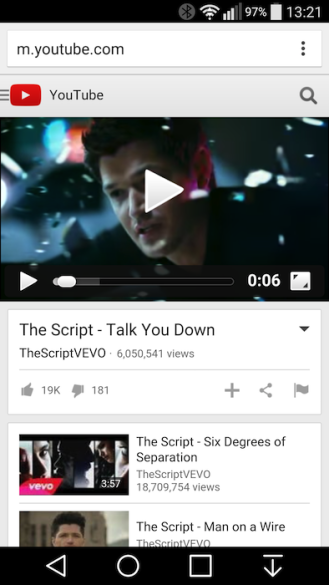 Chrome 43 beta also introduced some changes and new features when you play audio and video inside the browser. 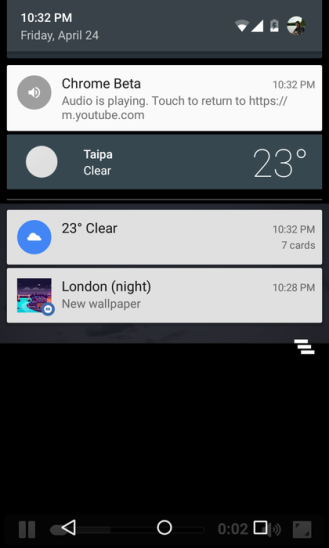 First, there's a new notification that shows up when audio is playing but it doesn't appear to do anything beside throw you back to the tab that it's originated from. Next, when you're playing a video and want to switch to fullscreen, a new permission asks you to allow it or exit the mode. And finally, when playing videos in YouTube, the playback bar shows a mute button next to the fullscreen one only when you're in Chrome 43 Beta — it doesn't appear on previous Chrome versions like 42 Beta pictured below for comparison. Left: Chrome 42 Beta. 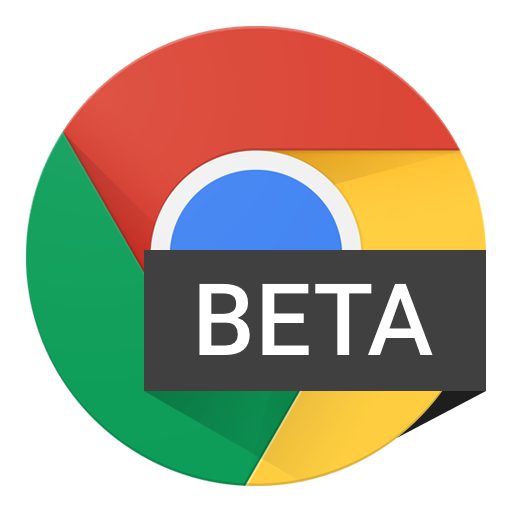 Right: Chrome 43 Beta. Volume as a notification and next to the fullscreen toggle — if you could see it now. 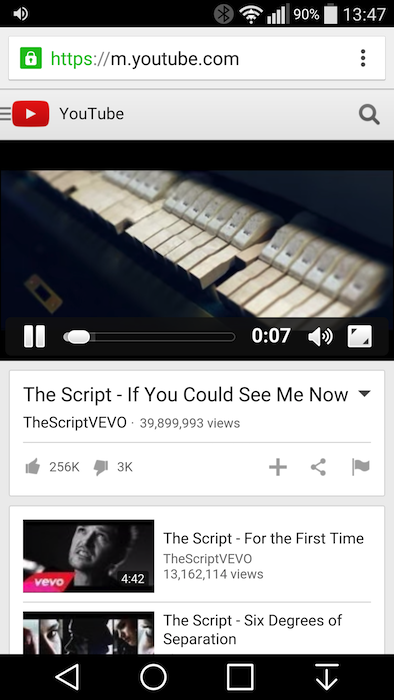 Project Fi's Easter Egg Has Lionel Richie Serenade You With "Hello, Is It Me You're Looking For?"